BloomingTea – Bloomington's coziest tea spot. 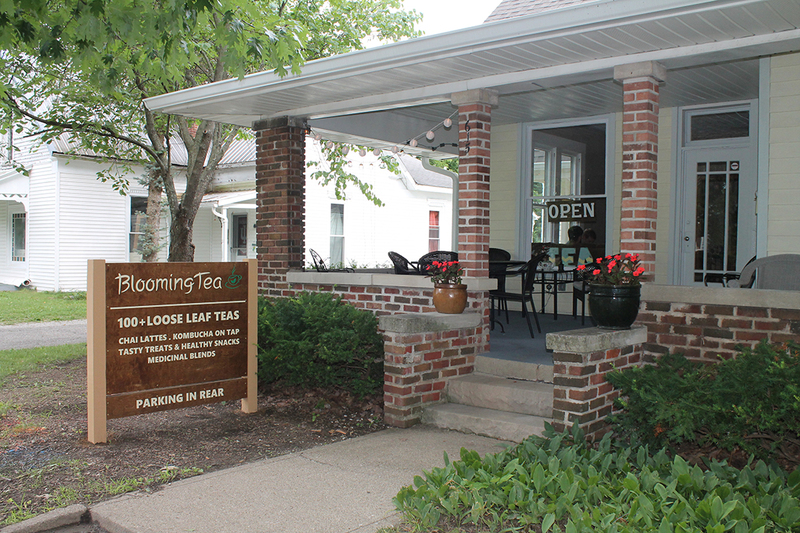 BloomingTea is a teahouse located at 615 W Kirkwood Avenue in beautiful Bloomington, Indiana. We have a warm and relaxing old space with plenty of tables and comfy seating. We offer 100+ loose leaf teas – by the cup, pot or in bulk by the ounce – iced teas, chai lattes, kombucha on tap, medicinal blends, tasty treats and healthy snacks. We also have new and vintage teawares. We have a meeting space available. Do you need space for your next group, organization, club, board or party? Our semi-private space can accommodate groups of 20 people. We can customize your event, food, and drinks, as needed. Stop in and join our Loyal-tea program for discounts and our newsletter. Come have tea with us.